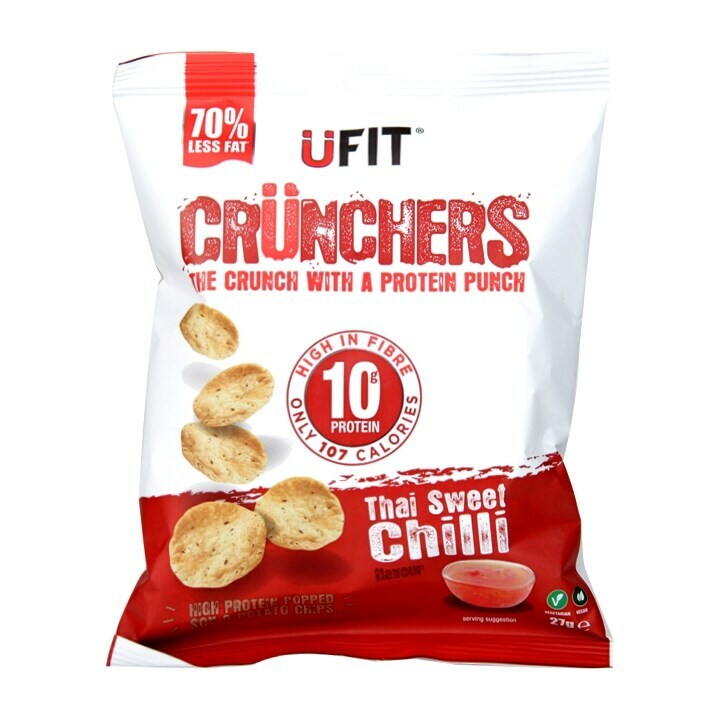 UFIT Crunchers High Protein Popped Chips Thai Sweet Chilli is rated 4.8 out of 5 by 5. Rated 5 out of 5 by Maddie1982 from OMG - So good I recently purchased these, looking for a healthy snack and OMG I was blown away by the taste and texture. Wasnt sure what to expect but they surpassed my expectation. After eating these I was surprised at how full I was.